Mitsubishi Heavy Industries, Ltd. (MHI) (TOKYO:7011) Group company, Mitsubishi Heavy Industries Thermal Systems, Ltd. (MTH), has expanded production at Mitsubishi Heavy Industries-Mahajak Air Conditioners Co., Ltd. (MACO), its joint venture company in Thailand to manufacture and sell residential and commercial use air conditioning systems. Facilities at the two existing factories have been expanded and upgraded, and construction completed and production begun at a new third factory and electrical assembly works. The aim of the capacity expansion is to further develop MACO to be a central production facility to meet growing demand worldwide for residential and commercial air conditioners, especially in Asia. MACO was established in 1988, and has production facilities in the Ladkrabang Industrial Estate in the suburbs of Bangkok. Total investment for the production expansion was approximately ¥3.0 billion. 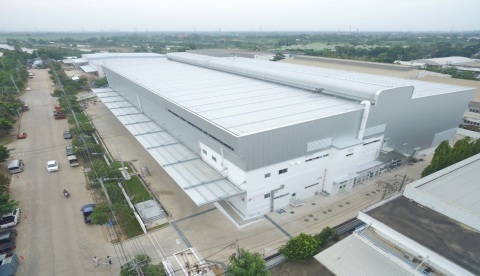 Of the two newly-built facilities, the third factory will manufacture plastic and sheet metal parts for residential and commercial air conditioners, while the electrical assembly works will mount the electric parts on the electrical boards, which is one of the key components of air conditioners.